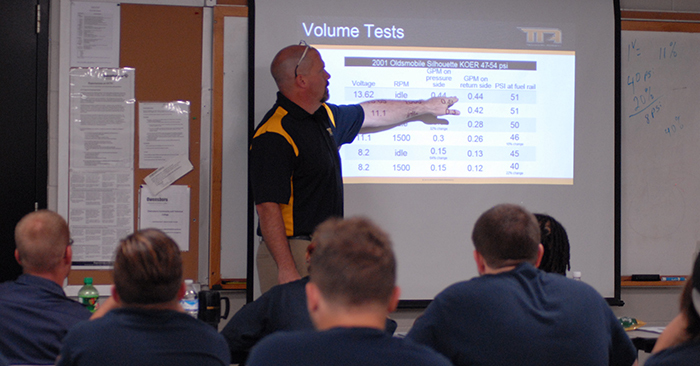 EVANSVILLE, IN – March 21, 2018 – Technician.Academy’s Director of Aftermarket Content and Programs, Richard Young, will be presenting two courses and a keynote at the 2018 Illinois College Automotive Instructors Association (ICAIA) Conference on March 29-30 at the College of DuPage in Glen Ellyn, Illinois. “DSO for the Classroom” will be one of the courses presented at the conference. This course will demonstrate the importance of Digital Storage Oscilloscope (DSO) training and its allure to future technicians. The other course, “Fuel System Diagnosis Without Using the Parts Cannon,” will reveal the importance of teaching different fuel system diagnostic techniques and tools that aren’t always the first choice in solving difficult vehicles diagnoses. The goal of this course is for the technician to avoid tunnel vision when presented with a vehicle that has a seemingly simple repair. Richard Young will also be presenting a keynote at the ICAIA Conference. Young’s keynote, titled “If Everyone was a Rocket Scientist, No One Could Turn the Lights on at NASA,” will demonstrate the value of automotive programs today and its instructors. To learn more about Richard Young and the courses to be presented at ICAIA, click here or contact Richard Young at [email protected]. Learn more about Technician.Academy, its programs, and initiatives by visiting www.Technician.Academy.